Balance and proportion in an outfit are important ways to trick the viewing eyes into seeing your body in a different way. The eye naturally finds a balanced body or face shape more appealing. The goal with many styling exercises is creating an hour glass figure i.e. large top balanced by a large bottom and skinny in the middle. I don’t agree that we should all dress to create this particular shape. But it does provide a good example of a balanced body shape. By putting a belt on your waist you can evenly divide your body – The eyes will find this a good marker. This does not work, however if you have a short torso. Short torsos have a high waistline or no waistline – so a belt will not divide you evenly in the middle and will only emphasise your short body. 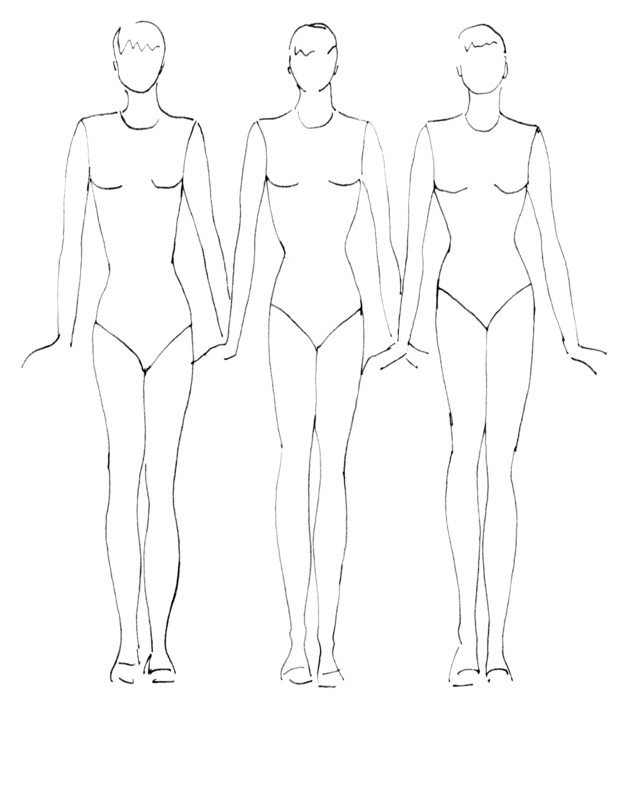 Ladies with long bodies and shorter legs can lengthen their bottom half by raising the waistline up. Take a look at the following designs from Alberta Ferretti. The top of the skirt line is higher than elbow height and shortens the body length: making the models legs and lower torso look longer. Outfits 1 and 2 are similar – A-line floaty top and wide floaty trousers. However, there are key differences that make each outfit better suited to different body shapes. Outfit 1. The top is longer (to wrist level) and floats over the trousers. This is good for ladies with a short torso as it is elongating the torso. The all white colour scheme adds to this lengthing. The longer top length can take the lower v-neckline. This is a better shape for larger busts. Outfit 2. The shorter red top hits about waist height and is balanced with a large bold print on the bottom half. This is great if you want focus on your waist as the red top draws the eye there. If the top was patterned like the trousers, a red belt in the middle would nicely define the waist so you have a figure instead of being a mass of pattern. The high neckline balances out the shorter length of the top. This high neckline and short length would not be very flattering on larger busted ladies: the A-line shape would sit like a tent from your bust. Outfit 3. The trousers in this outfit taper down to the ankles. The shape of the trousers is very flattering – loose and skimming on the thighs and narrow at the slimmest part, focusing your eyes on the ankles. The soft lines of the lemon jacket below in example 1 from Carolina Herrera would soften a lady with an angular figure. The outfit proportions are balanced out i.e. the skirt is shorter than knee length and the top half is fully covered – the lemon to skin ratio is about even. Let’s compare the sleeve length in example 1 to example 2 from Carolina Herrera’s spring summer 2015 collection. The eye is drawn to the end of the sleeve. In example two the focus is on the waist in the middle of the body. In example one the focus is dropped lower than the waist line but not as far as the hips. Categories: Creating your Professional Image, Professional Outfit Building, Using Fashion Trends | Tags: Balance, body, Fashion, lengthening, Proportion, shortening, Sleeve, style | Permalink.